At 6:07 pm Thursday December 8th, Liberal firefighters were called to 609 N. Washington at the request of residents of that address to investigate a fire that had occurred and was already believed to be extinguished. Firefighters were led to the area of origin and began investigating and ensuring the fire was completely extinguished. The fire had originated in the wall space and no additional burning was found in that immediate area. However, in the process of removing burned insulation, smoke was noted issuing from the eaves of the home and a large amount of fire was discovered to be burning undetected in the attic space. 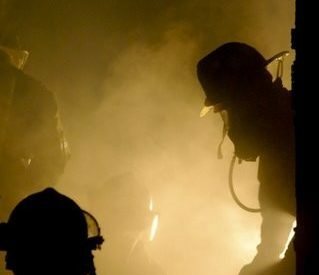 The fire was quickly extinguished and firefighters spent a considerable amount of time locating and extinguishing smoldering material in void spaces. This fire is believed to be accidental and was likely caused by an electrical malfunction. The Liberal Fire Department responded with a total of 20 personnel after the initial investigative response. Also assisting at the scene were Liberal Police Department & Water Department, Seward County EMS, Southern Pioneer Electric, Black Hills Energy and American Red Cross. One firefighter was treated and released for smoke inhalation. No civilian injuries were reported. All units were fully returned to service at 8:47 pm.